Using health information technology to manage your personal health information is an important part of our changing health care system. You and your doctor can better manage your health care by improving how you communicate with each other and how you maintain your health information. Using computers and other electronic devices makes it easy for you, your doctor, and other healthcare providers (such as hospitals, labs, and X-ray facilities) to store, share and access your health information. Using computers in this way is known as Health Information Technology (HIT) or Health IT. Although HIT has many uses throughout our healthcare system, three important types of health IT may affect you in the near future as more consumers use personal health records (PHRs) and more physicians use electronic health records (EHRs) and electronic prescribing (e-Rx). Your personal health record (PHR) is an online document with information about your health (and the health of family members) that you keep up to date for easy reference. Using your PHR, you can keep track of your family’s health information, such as the date of your children’s immunizations, last physical exam, major illnesses and operations, allergies, or a list of family medicines. Many PHRs are easy to use and may be provided free from your health plan, the government, your doctor’s office, and private companies. Some PHR companies charge a monthly or annual fee. Since your PHR is online, you can get into and manage your health information from anywhere that you have access to the internet. An electronic health record (EHR) is a computer-based document that is used by your doctor, your doctor’s staff, or a hospital. An EHR (similar to your old paper medical chart) contains health information from your doctor and other healthcare providers. A typical EHR has information about your health conditions, allergies, treatments, tests, and medications. Many EHRs can connect with health care providers outside your doctor’s office such as specialists, labs, imaging facilities (X-rays, CT Scans, MRIs), and the local hospital. This allows your doctor to share up-to-date information with your other providers as well as getting quick and easy access to your tests and hospital information. Since everyone involved in your health care can share accurate information, your EHR can help lower the chances of medical errors and may help improve the quality of your healthcare. Some EHRs have warning systems built in to let your doctor know about drug allergies or potential problems with drug interactions. Also, some EHRs have medical alerts to remind your doctor to perform certain tests or procedures. For example, if you have diabetes, your doctor’s EHR may remind your doctor to check your feet at every visit or order a blood sugar test. Depending on the EHR used by your doctor, you may be able to link your personal health record with your doctor’s electronic health record and share information back and forth. Electronic prescribing or e-prescribing (eRx) is a way for your doctor and other healthcare providers to send your prescriptions to your pharmacy electronically. 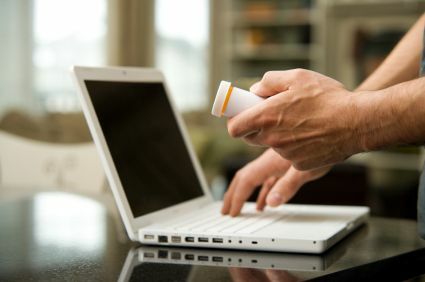 Instead of writing out a prescription and having you take it to your drugstore, your doctor orders your medication through her office computer, which then sends a secure electronic prescription to your pharmacist. Over time, all of your health information will be available electronically, not only to you and your doctor but also to other health care providers and your health plan. Because many organizations and people may have access to health information there is concern about the privacy and security of health information technology tools. Over the past several years there have been security breaches in hospitals and doctors’ offices resulting in medical identity theft. Access to your personal information may allow thieves to bill for medical services in your name. Through the Health Insurance Portability and Accountability Act (HIPAA) of 1996, the federal government has established strict rules to protect the privacy and security of your electronic information. HIPAA gives you rights to your health information and sets rules and limits on who can look at and receive your health information. Your doctor, other healthcare providers, and your health plan are required to keep your information private by teaching their staff how your information may and may not be used and shared and take appropriate and reasonable steps to keep your health information secure.